Will Your Well Freeze Up During the Winter? Winter is officially here, and that means it’s time for you to start taking preventative measures around your home to guard against the cold. This includes taking are of your well and the pipes in your plumbing system. 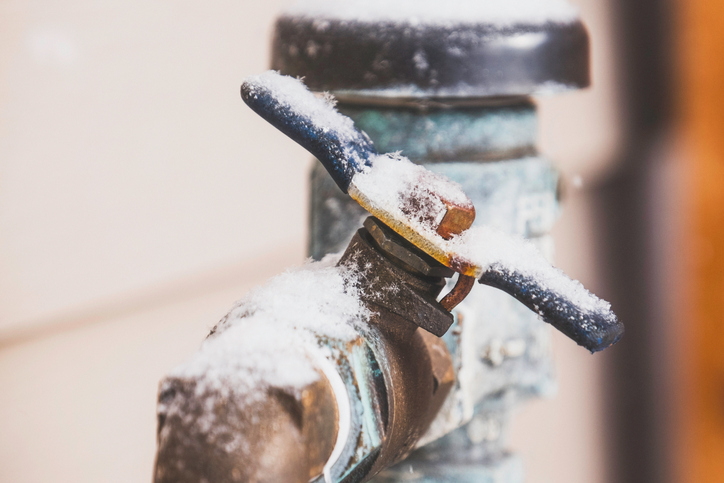 Frozen pipes can cause serious damage to your well and home, not to mention interrupting the supply of water to your home. As your local provider of water well drilling, Pinckney Well Drilling and Geothermal has some tips for you on how to avoid a frozen well. Know your climate – In our service area of the South Carolina Lowcountry, extremely cold temperatures are rare. But if you live in a colder climate, you’ll need to pay closer attention to your well and the weather forecast. Know your well – Many of today’s wells are so deep that they go well beyond the frost line. Deep wells have a decreased likelihood of freezing during prolonged periods of cold temperatures. If you have a shallow well, you may want to talk to a well driller to make sure you’re in the clear. Inspect your well and pipes – First and foremost, call a well drilling service to inspect your well and the pipes that are connected to it. If there is a problem, such as a minor leak, they’ll catch it and fix it before it becomes a major issue. Stopping problems at the beginning of winter will save you headaches down the road. Insulate pipes – Insulate all your pipes, especially those in your well house. Pipes that exposed to the cold can freeze quickly. Insulation acts like a warm winter coat, protecting against frigid temperatures. Install a light – If you have a well house, consider installing a light that you can turn on when the temperatures are well below freezing. The light will provide an extra bit of warmth that may make all the difference. If you see that very cold weather is on the way for the Walterboro and Charleston, SC area, call Pinckney Well Drilling and Geothermal. Our water well drilling experts can help you prevent a frozen well, fix a broken well pump, and take care of other water well issues. Pinckney Well Drilling and Geothermal provides water well drilling, geothermal wells, irrigation wells, and water filtration services for the Lowcountry. Contact us for service in the Beaufort and Bluffton, SC area. Why Is Well Water Testing Important? What Are Some Different Types of Well Pumps? Should You Replace or Repair Your Well Pump?